Gopal Singh Chawla, the pro-Khalistani leader, had earlier stopped Indian officials from visiting a Gurudwara in Lahore to meet Sikh pilgrims who had travelled from India. Gopal Singh Chawla is also believed to be close to terrorist Hafiz Saeed. 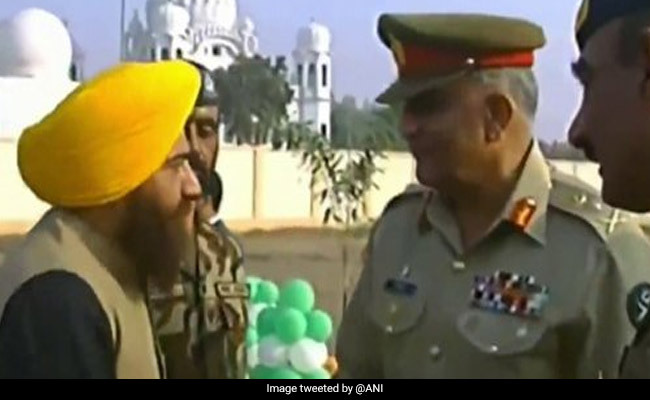 As Pakistan Prime Minister Imran Khan talked peace and "civilized ties" with India at the Kartarpur corridor event today, the country's army chief General Qamar Javed Bajwa was seen greeting a pro-Khalistani leader on the sidelines of the ground-breaking ceremony. Gopal Singh Chawla, the pro-Khalistani leader, had earlier stopped Indian officials from visiting a Gurudwara in Lahore to meet Sikh pilgrims who had travelled from India. Chawla is reportedly the general secretary of the Pakistan Sikh Gurdwara Parbandhak Committee. His name came up in investigations into a grenade attack earlier this month in Amritsar in which three were killed. He is also believed to be close to terrorist Hafiz Saeed and has also been photographed with him. Chawla's presence at the ground-breaking ceremony attended by Indian ministers and Punjab minister Navjot Singh Sidhu, raised questions. Reacting to the photos of the pro-Khalistan activist with the Pak army chief, Indian Army chief Bipin Rawat said: "Everybody talks about giving peace a chance. You see what the government said today. This (#KartarpurCorridor) is to be seen in isolation. It shouldn't be linked to anything else." He was underscoring Foreign Minister Sushma Swaraj's statement earlier today that the Kartarpur corridor between the two countries would not lead to talks unless Pakistan stopped sponsoring terror. 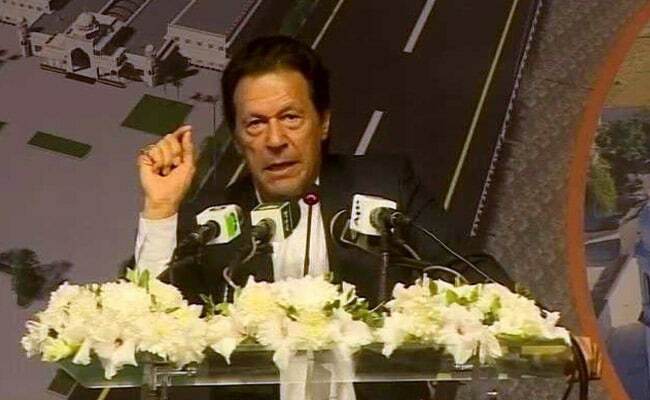 Pakistan PM Imran Khan urged peace between the two nations at the event. The Khalistan movement, which called for a separate Khalistan to be carved out of Punjab, saw large-scale violence in the 1980s until a heavy crackdown by the police. The four-km corridor will provide a road from Gurdaspur in Punjab to Kartarpur near the Pakistan border, to enable Sikh pilgrims from India to visit the famous Gurdwara across the border where Guru Nanak spent his final years. Urging peace between the two nations at the event, Pakistan prime minister Imran Khan said: "We should have the determination and strength to improve our relationships and to live as good neighbours. Today, I am saying that my party, I and my army are all standing together to on one page. We want to move forward. We want a civilised relationship."